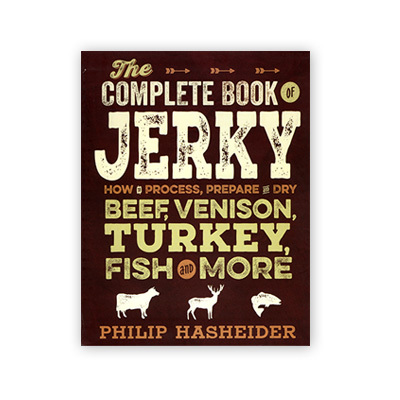 This book by Philip Hasheider will explain to you how to process, prepare and dry beef, venison, turkey and fish into delicious jerky treats. Walk through basic butchery for a variety of meats, how different muscles translate into jerky and a variety of ways to prepare jerky using a food dehydrator or smoker. OUT OF STOCK!